Lidl is not an obvious place to find gluten-free food. There is no Freefrom aisle and no stocking of the typical gluten-free brands, but if you look closely there is a surprising amount of gluten-free choice. It is also very, very cheap. 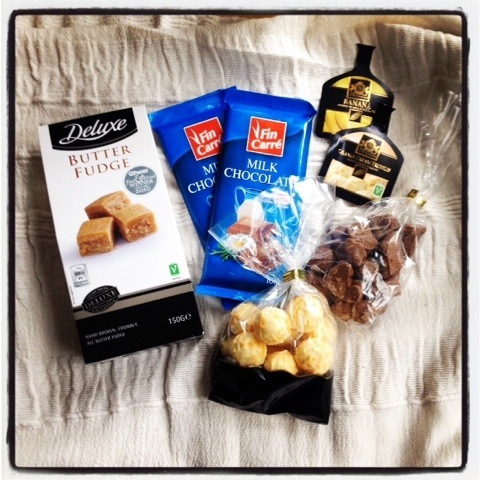 Here is a breakdown of my coeliac-friendly finds thus far. Bargain avocados. Bags of organic shallots and punnets of plum tomatoes for under a pound. Albert Rooster potatoes and sweet potatoes in bulk. Surprising items like starfruit and physalis. Apples, bananas, clementines, root vegetables at super cheap per kg prices, resulting in a double take (in a good way) when you get to the till. Greek Yoghurt – Lidl do a good, thick greek yoghurt. Not as good as Total, but a decent budget version. You can get a 1kg tub for about £1. 24 Month aged parmesan – I read about this on the Skint Foodie blog, and had to try it for myself. It is now one of my regular buys, and at £2something half the price and just as good as the one I used to buy on Ocado. Who would have thought that Lidl would sell Gluten-free meatballs and beef burgers? I have not actually tried these yet so cannot report on the taste or quality, but the price is great at around £1.70 per pack, and they are also frequently on bulk buy offers. * edit: Several people on the Gluten-Free / Coeliac groups on Facebook (Gluten Free Bargains and Deals, Coeliac Disease Support Group, Coeliacs in the UK and Coeliacs Eat Out Too!) recommended the meatballs and the burgers, and also the steak, Nuremburg sausages and meatloaf, which is available seasonally. Apparently the kangaroo steaks taste like a cross between chicken and beef. Thanks all! Butter Fudge. The best fudge. It’s won awards and everything. Only £1-something, and nicer than the more expensive varieties I’ve tried. Similar to the Burnt Sugar Crumbly Fudge, and half the price. Tastes like buttery, sugary heaven. Chocolate. Fellow coeliacs will know how hard it is to find safe chocolate; it has to not only be gluten-free, but free from factory contamination and ‘may contain’ warnings. There is not usually much choice. Finding coeliac-friendly chocolate that is also cheap is like discovering an actual unicorn. Above is a mini-haul I dragged home one overwhelmed, sugar-crazed evening. I have mentioned Lidl’s Fin Carre chocolate before; (*note – the milk chocolate is no longer gluten free ) the orange truffles and the chocolate bananas were an impulse buy; interesting flavours, but bordering on the sickly. Mileage may vary depending on your sweet tooth. Lidl also does Fairtrade gluten-free chocolate which I have yet to try. Look out for the ‘Deluxe’ range; the Lidl version of ‘Taste the Difference’ essentially, with some surprisingly posh-looking products/ *Nes mentions the ‘Greek style platter’ in the comments which sounds delicious. Posh crisps (Mackies, Tyrrells). Lidl’s own deluxe vegetable crisps are lovely. Nuts. On lucky days Lidl has huge sacks of almonds, cashews and pistachio nuts that you can take a scoop and fill a bag from. At a much cheaper price than the equivalent up the road in Wholefoods. If you have kids, it may be worth noting that Lidl is also one of the only UK supermarkets to commit to banning the display of sweets or chocolate at their tills, keeping dried fruits, oatcakes and nuts within easy reach instead. *Roger George has mentioned in the comments that you can also buy full-size rice cakes for under 50p. BARGAIN. Chickpeas, tinned tomatoes, butter beans and kidney beans all make a regular appearance in my shopping basket. In Lidl these tins are around 30p each, and each one can form a base for a meal or two. Cloudy apple juice – 1l for £1. Similar to Copella, but consistently cheap. Apparently some decent booze too (see the end of this post). *new discovery! 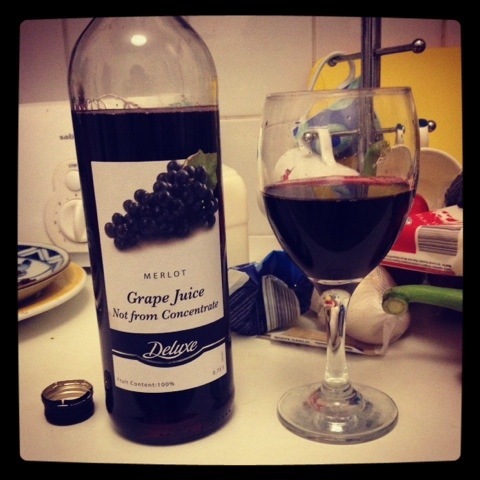 Delicious not-from-concentrate grape juice. Kangaroo steaks, thermal vests, horse-riding gear…Lidl has it all. There are occasionally some quite cool things though – their perfume dupe for Chanel’s Coco Mademoiselle is a dead ringer (at a tiny fraction of the price), and the Clapham Junction branch has just started selling pots of french lavender outside. While there are some great products, there’s no denying that Lidl is not the cosy middle-class haven that Waitrose or M&S is. Don’t expect the service, comfort or ease (or range) of the more expensive supermarkets. Do expect to have to speed-pack your bags before you are hurried to the side by the friendly (but I suspect closely-timed) staff, and notice with dismay that your basket is security tagged in case you try to steal it. Be aware that many people shop at Lidl because they are really, truly broke, and it can be a bit of a grim atmosphere. However. I have been impressed with the quality of food in Lidl, especially the fruit, veg and dairy products, and the prices have allowed me to eat well and most importantly gluten-free on a small budget. I did like shopping on Ocado, but to keep costs down Lidl and ASDA (which I will post about very soon) have been a lifesaver. Read about Lidl’s list of award winning wines and food products here, and Lidl’s official line on ethical concerns such as sustainability, organic foods and animal welfare here. In Ireland Lidl provide a list of gluten free products for our Coeliac Society, strange that Lidl UK don’t provide a gluten free list for Coeliac UK. That is strange. I read that in Ireland Lidl stocks Kelkin gluten-free foods too, it would be great if this was rolled out across the UK. Also they have full size rice cakes for under 50p! And their Nurenburger sausages are my favourite GF sausages and really cheap and great baked means. Then there is cottage cheese and low fat yogurt, granulated sugar, and lots of continental meat all at significantly lower prices. Not to mention the great savings on tooth paste, shampoo, shower cream. razor blades, washing up liquids and paper towels etc. I always do my shopping FIRST in Lidl for savings on lots of basics and then in either Waitrose or Sainsbury for the selection available. Ooh I hadn’t seen the rice cakes! The continental meat I noticed had one some taste awards (see the link at the end of the post), I must try some. I do the same thing Roger, I get as much as possible at Lidl (depending what they have in stock – it seems to change seasonally in my local) and then drop into ASDA/ Waitrose for the remainding bits and bobs. It does help keep the cost low, and I can’t say I have noticed much (if any) drop in quality with the fruit and veg etc. Got to recommend the Deluxe range Greek style snack platter, fantastic value and everything first class , olives, stuffed mushrooms, peppers, chillies, cheese and much , much more…. Yes definitely. The Greek snack platter sounds delish, I’ll keep an eye out! Previous PostRomeo’s Bakery, Islington: It’s Open!